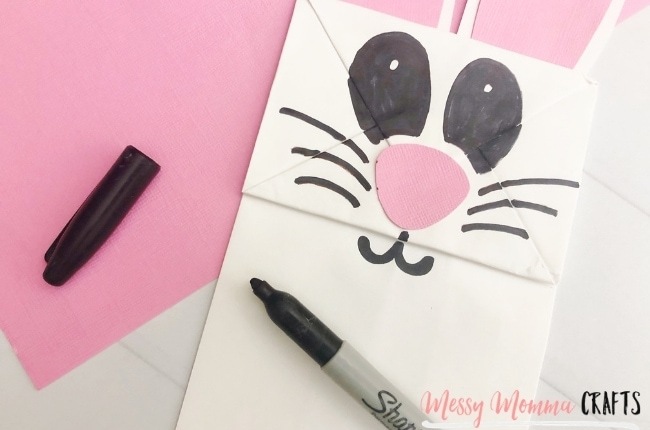 This Easter Bunny Bag Puppet is such a cute and fun craft to make with the family for Easter. It requires only a few simple items. Hello everyone! 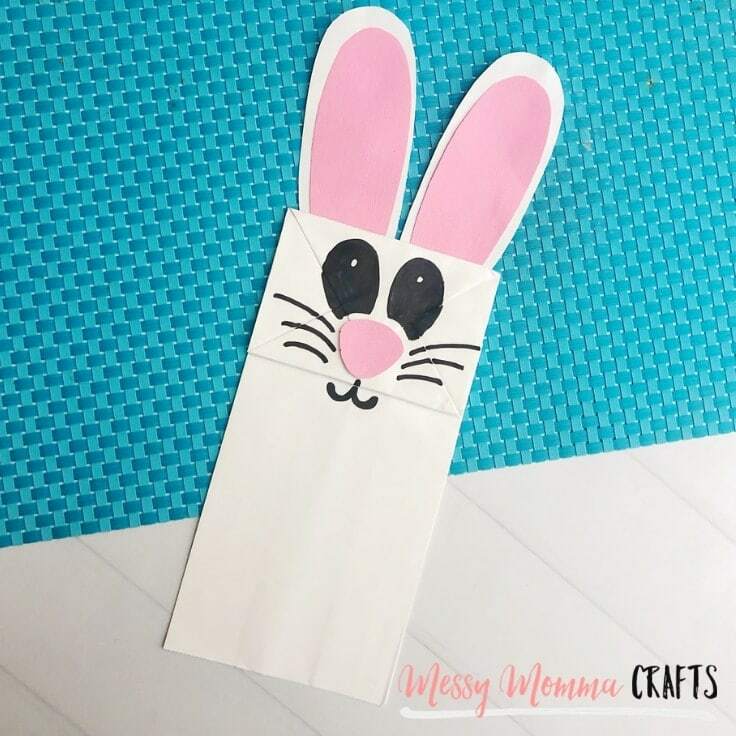 I’m Erica from Messy Momma Crafts bringing you a fun and easy Easter craft, an Easter Bunny Bag Puppet. I have seen a couple different Easter Bunny traditions for Easter baskets. One is the Easter Bunny leaves them out on the table and the other is the Easter Bunny hides them somewhere in the house. Which one did you grow up with? When I was little the Easter Bunny always hid ours. I remember one year mine was the last to be found, it was hidden in a closet on the upper shelf behind a bunch of stuff. It eventually was found but man did it take awhile. 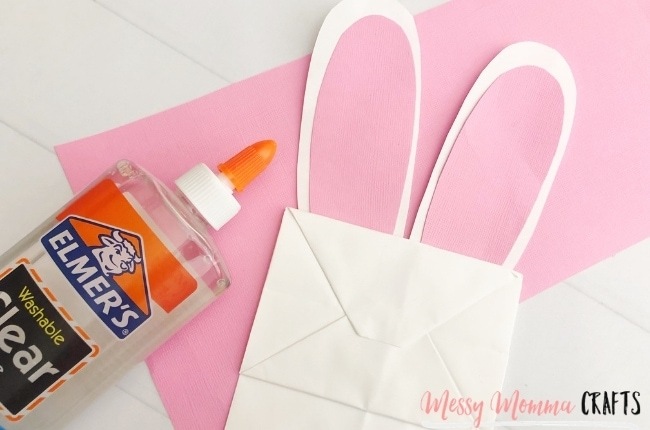 This is such a fun craft to make with the whole family and everyone can customize their bunny to their own liking. 1. 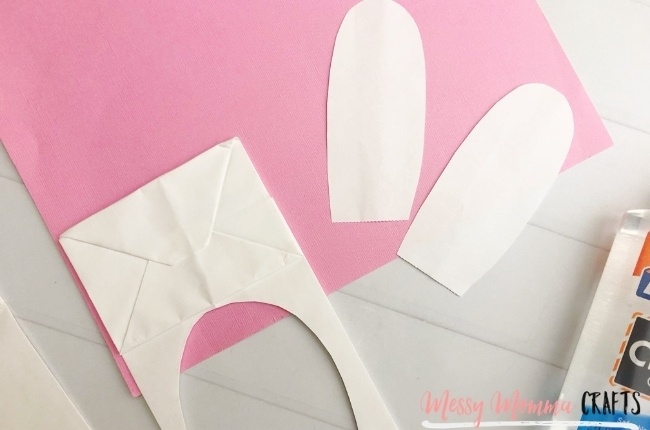 Cut and attach your bunny pieces. 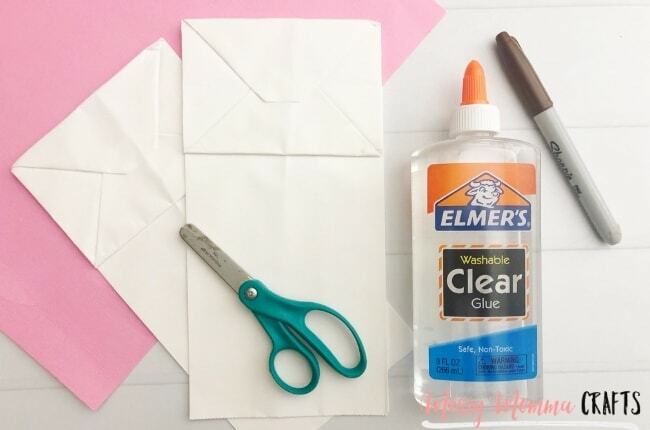 From the bottom of a paper sack, cut a long skinny bunny ear. Since you’re cutting from a bag, you will have two bunny ears. 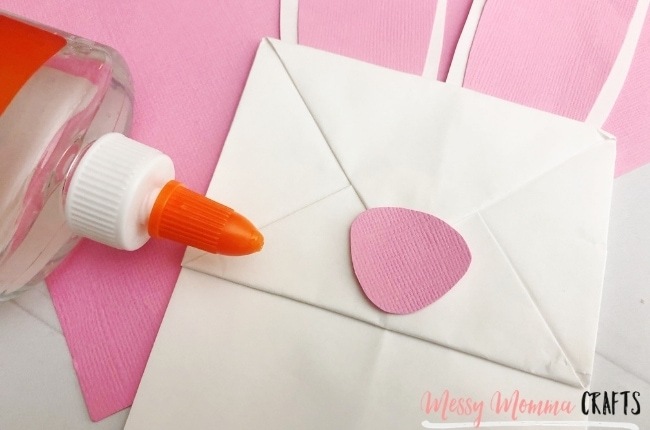 Cut out a bunny nose from the pink card stock and glue onto the top square of the bag towards the bottom. Use a Sharpie to draw eyes, whiskers and a mouth onto the bunny’s face. 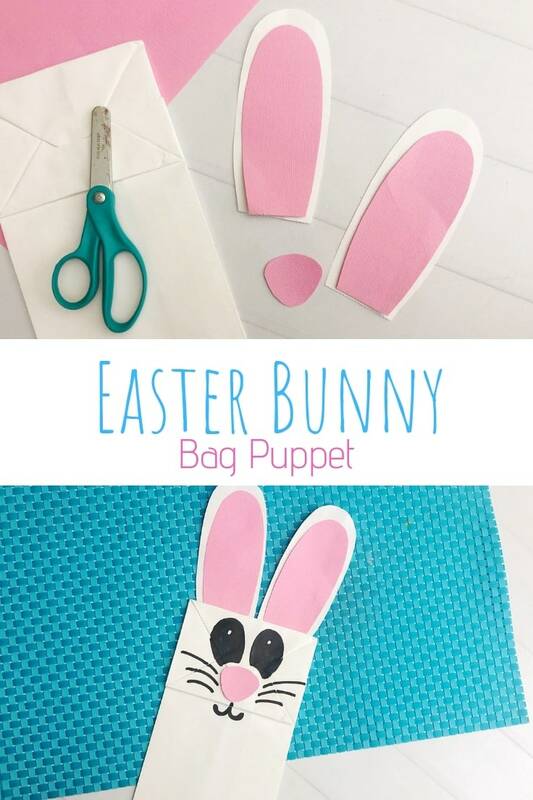 Once the bag is dry, stick your hand into the Easter Bunny Bag Puppet and move the flap of the bag to see your Easter Bunny in action. 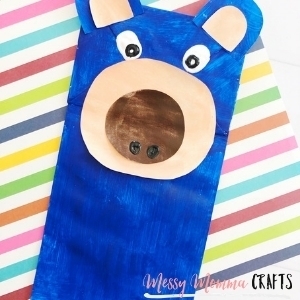 If you enjoyed this DIY Easter Bunny puppet, you’ll also enjoy these spring ideas too. 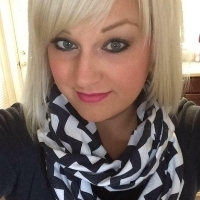 Erica has been part of the Creative Team on Ideas for the Home by Kenarry™ since October 2018. 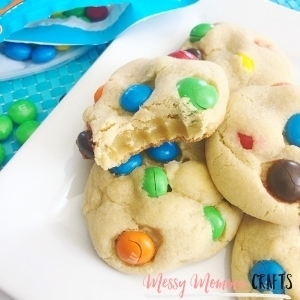 Follow Erica on Facebook, Pinterest, Instagram and Twitter.